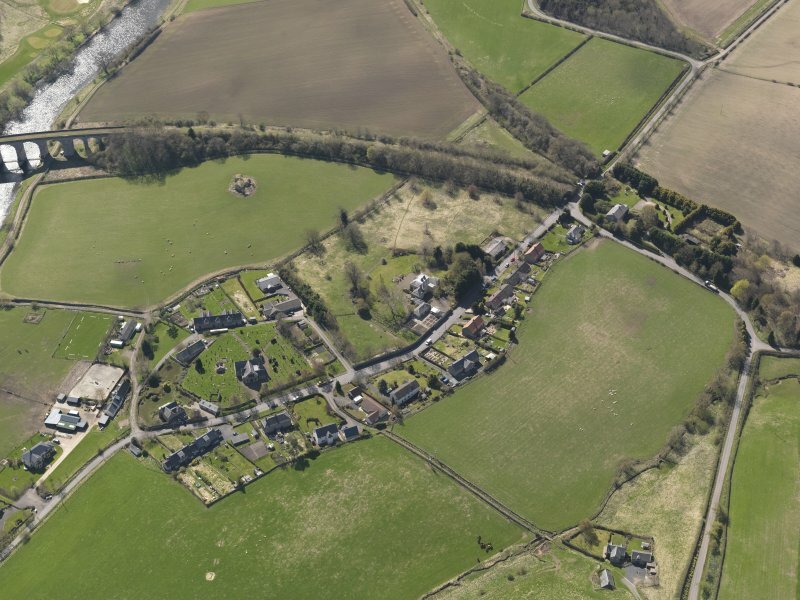 Oblique aerial view centred on the remains of the railway junction with the railway viaduct adjacent, taken from the W.
Oblique aerial view centred on the village, taken from the NNW. 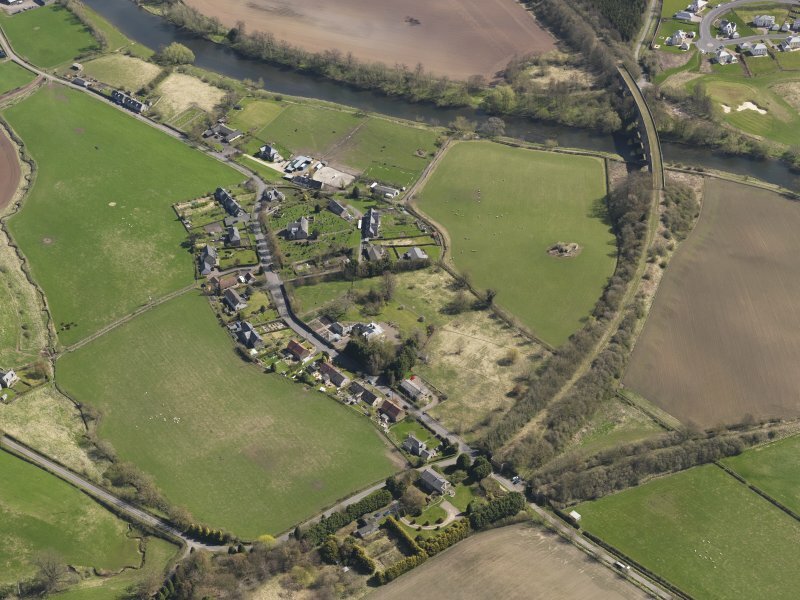 Oblique aerial view centred on the remains of the railway junction with the railway viaduct adjacent, taken from the WNW. Roxburgh Station View from SE. 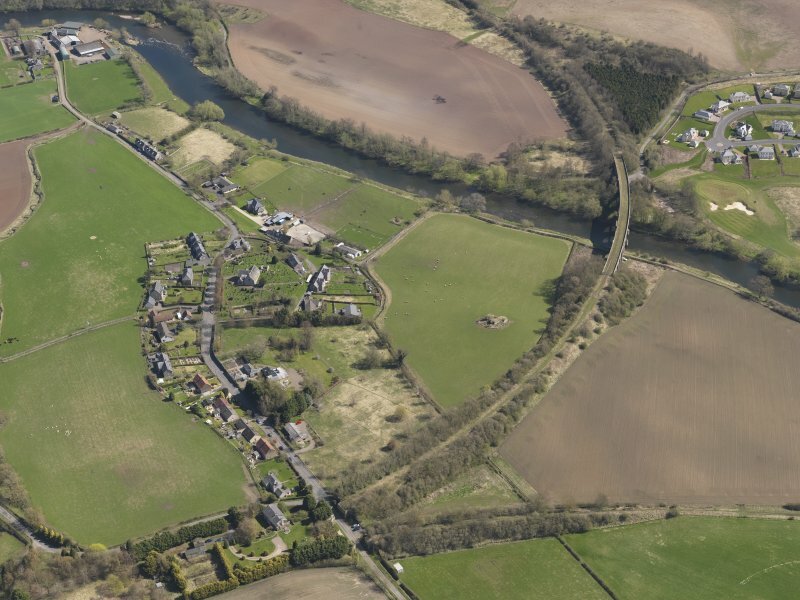 Oblique aerial view centred on the village, taken from the N.
Roxburgh Station provided an intermediate stop on the branch line which ran from St. Boswells to Kelso. 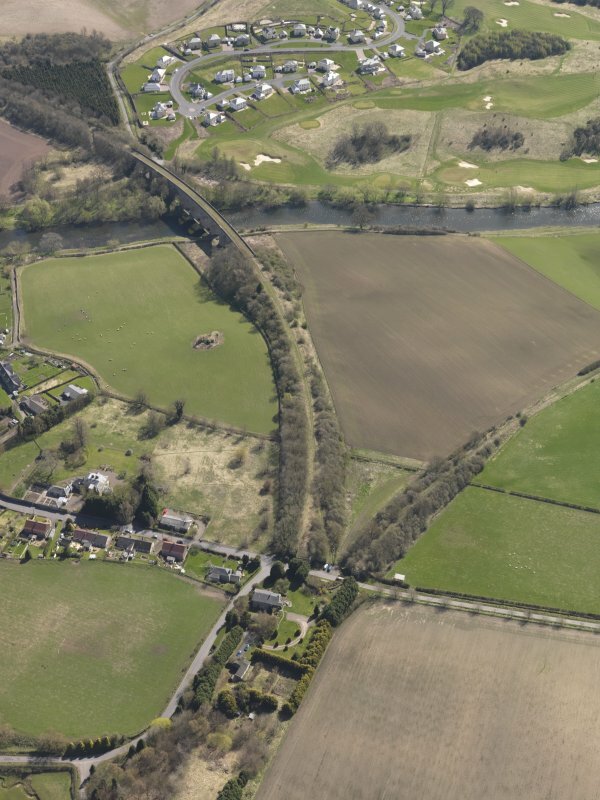 Opened by the North British Railway in June, 1850, this was the first branch line to be built after the opening of the Hawick line in 1849. 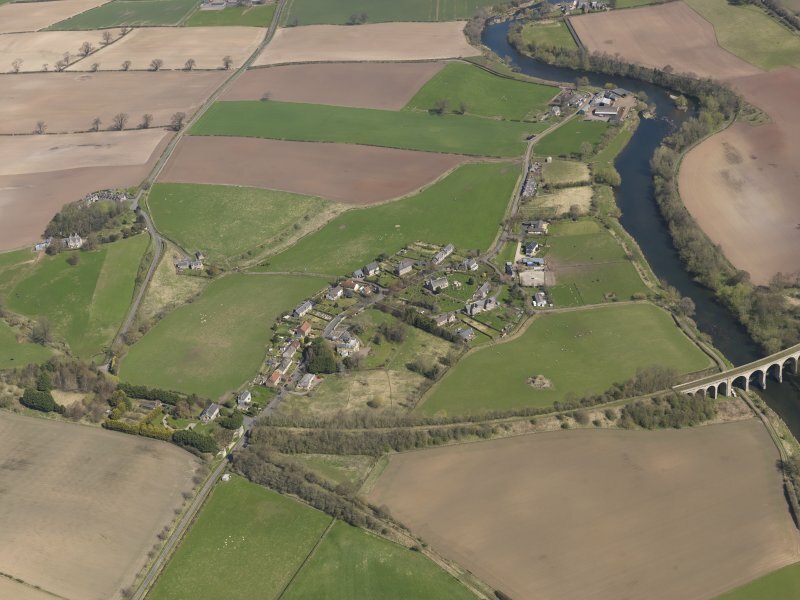 Its eastern terminus at Kelso lay only a short distance from the western terminus of the line from Tweedmouth and ultimately provided a cross-country link with the Tweed Valley towns. The two-storeyed building, which is all that remains of Roxburgh station, once formed the main offices, and is now in use as a private residence. For adjacent (to E) bridges (NT 6975 3049 to NT 6977 2053), see NT63SE 40. See also NT63SE 40 and NT73SW 63. 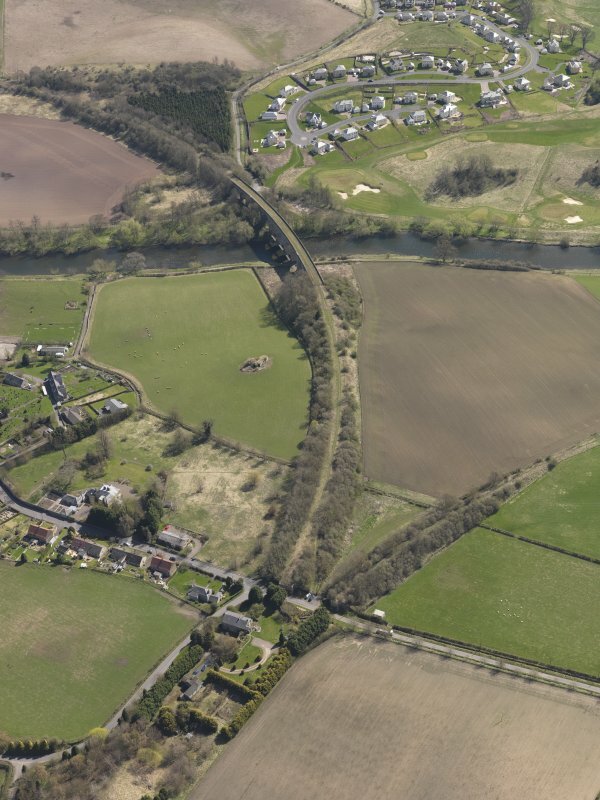 Roxburgh Station: this intermediate station on the St Boswells - Sprouston Junction line of the former North British Rly was opened by that company on 17 June 1850. 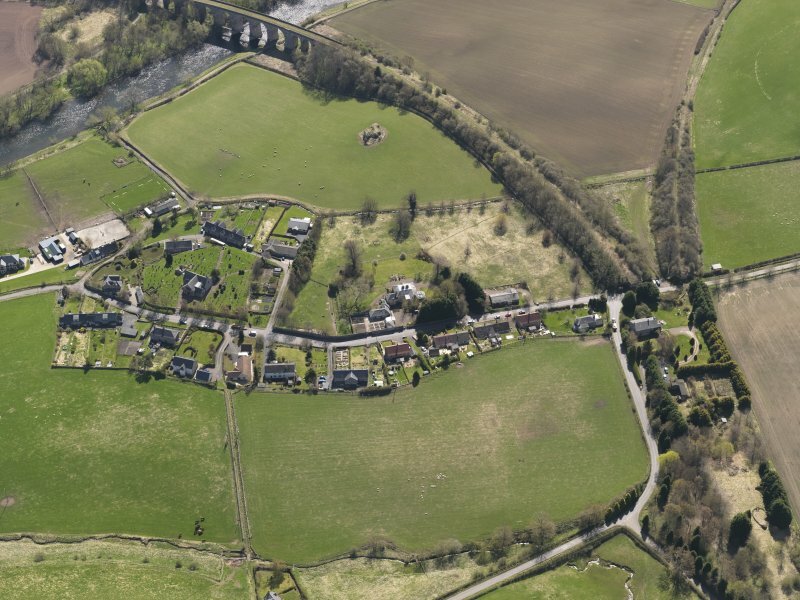 It was also the junction station for the branch line to Jedburgh, but was apparently never formally named Roxburgh Junction Station, although sometimes known as such. 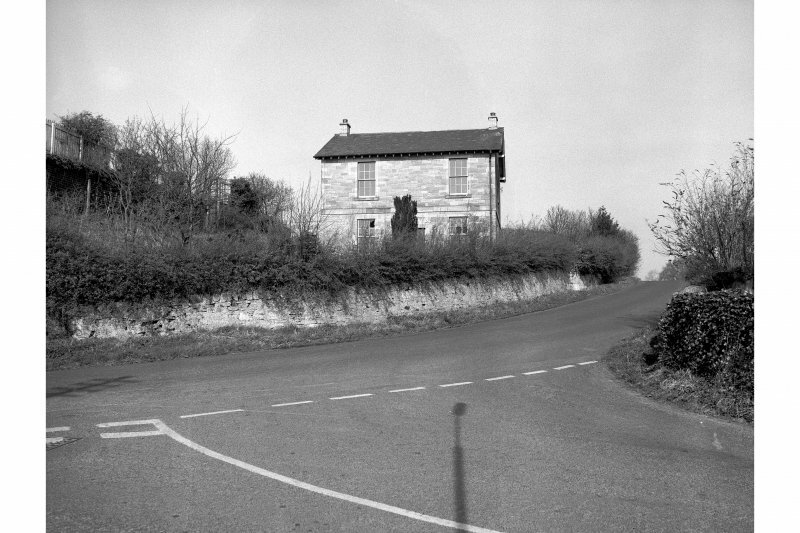 The station closed to regular passenger traffic (with the St Boswells - Sprouston Junction - Tweedmouth line) on 15 June 1964. Information from RCHAMS (RJCM), 31 January 2006.